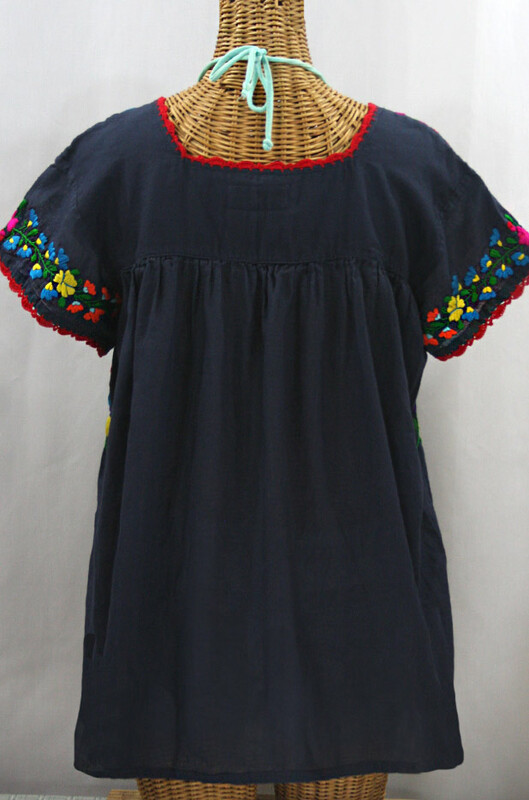 • Ornate hand embroidery and smocking with hand crocheted trim on the neck and open sleeve hems, available here in navy with rainbow embroidery. 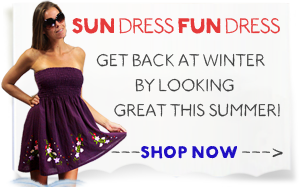 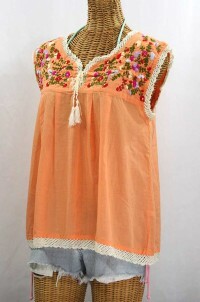 • Each top is like a one-of-a-kind work of art, so the embroidery colors of your blouse may differ some from the photo. 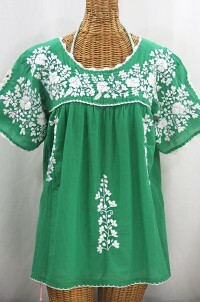 Bust (all the way around): 39"
Bottom Hem (all the way around): 56"
Length (shoulder to bottom hem): 28"
Sleeve Length (armpit to sleeve hem): 9.5"
*The last image in the set shows the Siren logo tag which is block-printed by hand on muslin fabric and adds the perfect finishing touch. 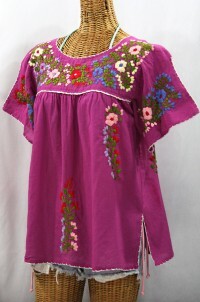 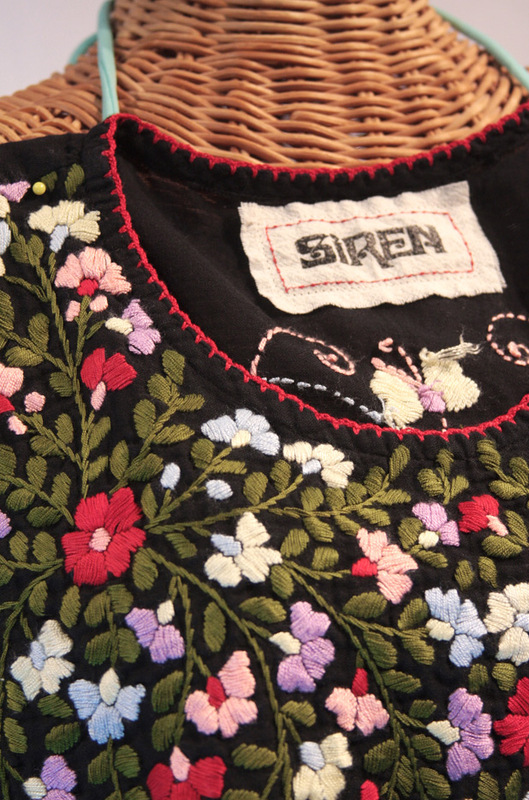 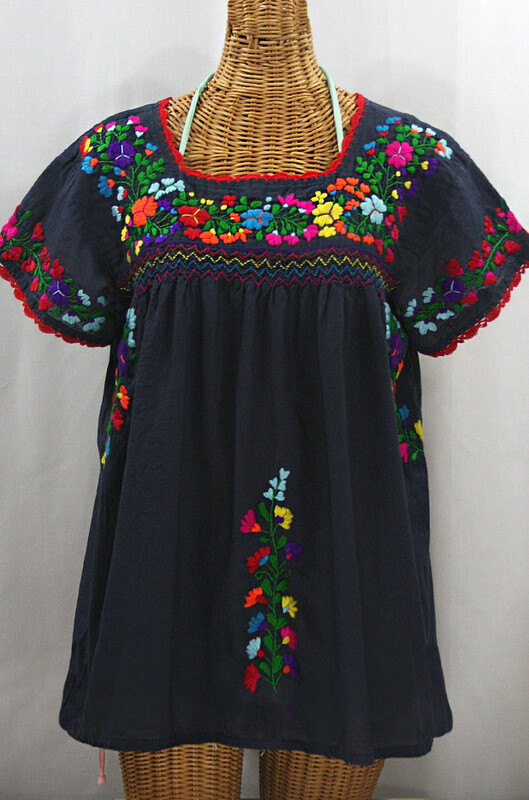 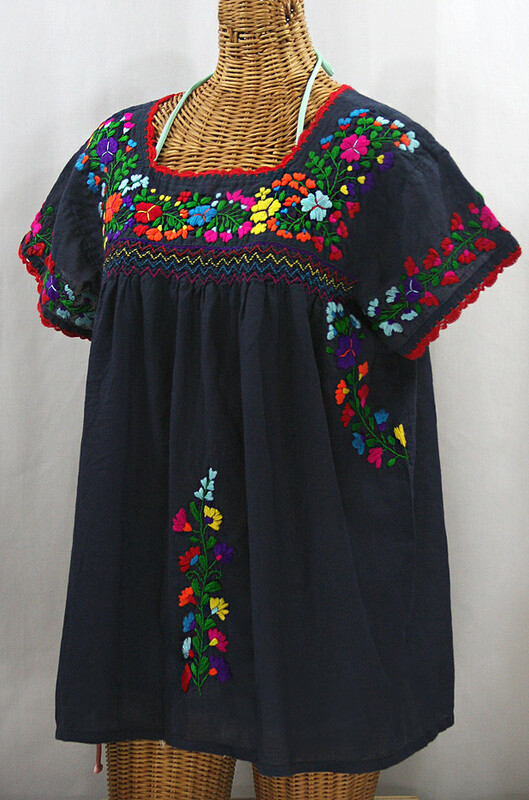 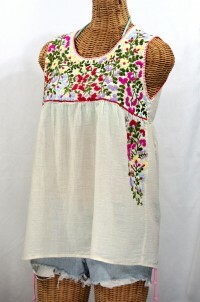 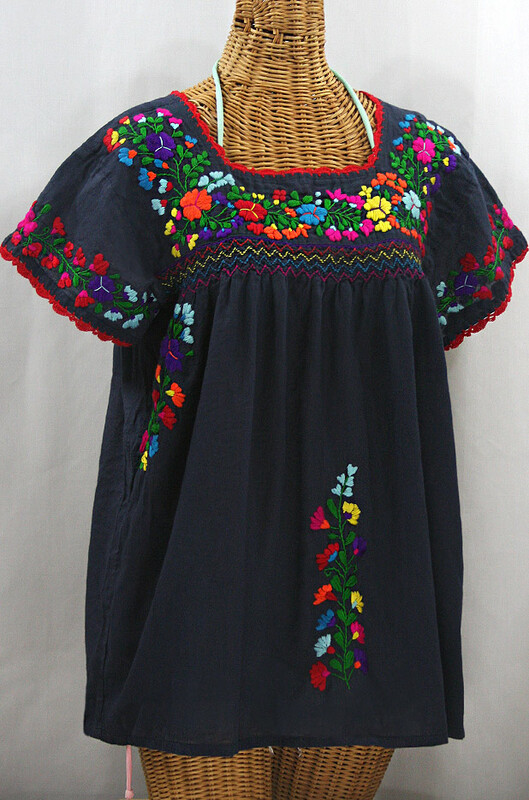 **Be sure to check out Siren's whole line of embroidered Mexican peasant blouses.